Saying that religion plays an important role in the development in any major society is an understatement. This is especially the case when it comes to America. Catholicism, in particular, has been an important part of the spirit behind so many of our country’s greatest cities and most noteworthy communities. Studying the legacy of the USA Catholic church through historical literature is an excellent way to explore it in more detail. 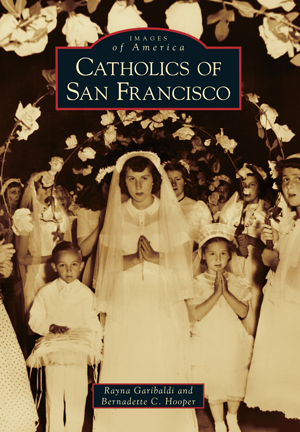 Whether you’re Catholic yourself or simply have an interest in seeing how Catholicism influenced the development of America, you can gain a wealth of new insight by studying the history of the Catholic Church, USA. Learn about the legacy of some of the most noteworthy Catholic churches in multiple cities across the nation. Read up on important Catholic personages and their influence on the communities in which they lived. You can even explore in detail archdioceses, colleges, cemeteries, and more as they relate to the comprehensive Catholic church in USA legacy. Arcadia Publishing is one of America’s largest and most widely trusted distributors of local interest books in regards to a variety of subjects, up to and including the American Catholic Church. Read intimate accounts about some of America’s most noteworthy religious communities in New York, San Francisco, New Orleans, and more. Explore the legacies of some of the country’s most prominent and well-known brotherhoods, sisterhoods, and dioceses. Uncover the history of important individual cathedrals, churches, and other locations in the United States. Even explore the influence of Catholicism in your very own community or the one in which you grew up. An entirely new outlook on Catholic American history awaits. Explore its full potential with Arcadia Publishing today!